This is what we had for dinner tonight! It's called Chicken Roll Ups and it's one of those "comfort foods" that my mom made all the time for us growing up and it is still one of my favorite things to eat. Not only do you get a picture today, but here's the recipe! Preheat the oven to 450. Boil the chicken breasts until they are done. Chop the chicken breasts into very small pieces (about the size of a pea). 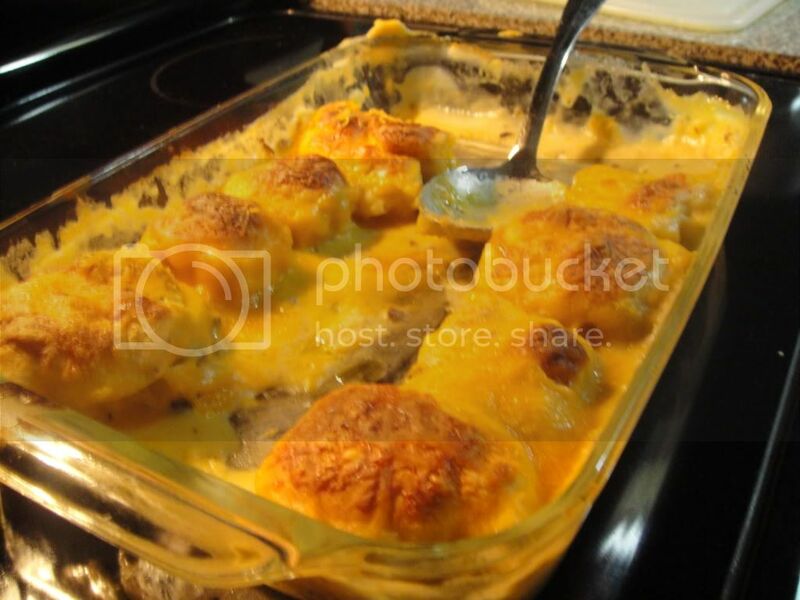 In a bowl, mix the chicken, season salt, garlic powder, and about 1/4 cup of shredded cheddar cheese. In a pot, bring two cans of cream of mushroom soup and two cans of milk to a boil. 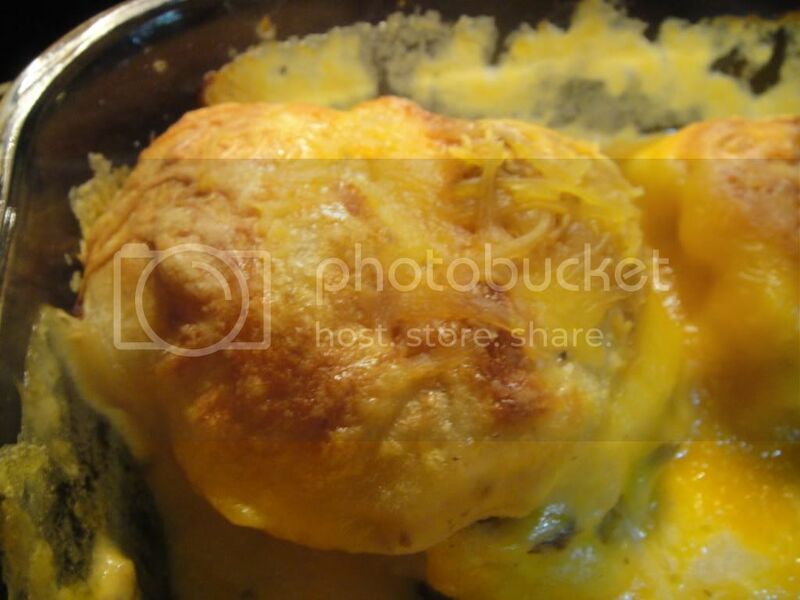 Take a crescent roll, spread out the dough, place it in your hand, and fill the palm of your hand with the chicken mixture. Fold the dough (like a diaper!) until the chicken is completely surrounded by dough. Put your all of your roll-ups into a 12x9 greased baking pan. Once all of your roll-ups are made, Pour soup over the roll-ups until just the tops are sticking out. Cover with cheese. Bake approximately 20 minutes or until golden brown. Sprinkle with more cheese and serve!